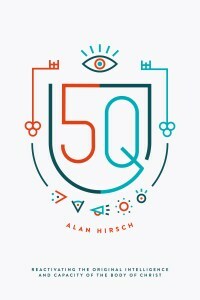 petebrookshaw.com: A Free Copy of Alan Hirsch's new Book 5Q is up for Grabs! A Free Copy of Alan Hirsch's new Book 5Q is up for Grabs! Alan Hirsch has been working for systemic change in the church for many years now. 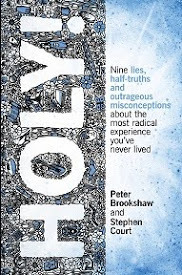 As a Youth Pastor some 15 years ago, I remember being in awe of reading The Shaping of Things to Come (co-authored with Mike Frost), and being impacted by its commitment to challenging the fundamental nature of who we are as a church. I was a new Christian back then, passionate for Jesus, sold out to the mission of the local church and with a deep desire to serve in any which way possible. 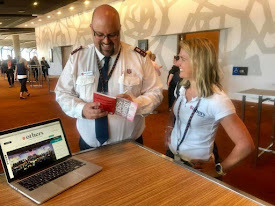 There was a short period when Kim Hammond from the then FORGE network was inspiring my wife Jo and I with what it meant to be missional leaders. They were impressionable days and I remember being thrust out of my comfort zone into a new way of acting and thinking. 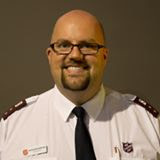 Fast forward to 2017, and I'm leading a great church in Craigieburn (Victoria, Australia), as an officer in The Salvation Army, but still find myself wrestling on how to lead, minister and create lasting change for the sake of the Kingdom of God in my local context. I devoured The Forgotten Ways (2006) and Alan Hirsch's book with Dave Ferguson, On the Verge (2011). 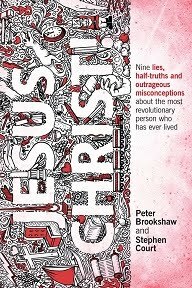 How to inspire, teach, empower and challenge a group of Jesus-followers to make a change in the world still keeps me up at night. Alan Hirsch is a prophetic voice to the church. His new book 5Q: Reactivating the Original Intelligence and Capacity of the Body of Christ, helps me sleep better at night. I say that, because over the years I've witnessed the church shift in the way it operates. Evangelists are sidelined, pastors/shepherds are celebrated and apostles are put in the too-radical-basket. Teachers are put on pedestals, but prophets only dare to speak a 'word in season'. Hirsch speaks directly into that ecclesiological issue. The APEST (apostle, prophet, evangelist, shepherd, teacher) system is fundamentally broken in the church today. Alan Hirsch's book 5Q, is like taking a car into the tyre shop for a wheel alignment, and re-calibrating the wheels so you're heading the right direction. Though we're not talking about your Kia Carnival, we're talking about re-calibrating the direction of the church. For too many years we've been heading one degree off course (the Western church that is), and finally the church is starting to wake up. If local churches and denominations as a whole embraced 5Q thinking, we would realign to God's ultimate purpose and design for his people. Alan Hirsch quotes Bonhoeffer who said, 'to know God is to change.' Henri Matisse said, 'to look at something as though we had never seen it before requires great courage.' Well church, it's time to be courageous. It's time to have soft eyes and look through a different lens. God has called some to be apostles, some to be prophets, some to be evangelists, some to be shepherds and some to be teachers (APEST - Ephesians 4:11). When the body of Christ is functioning in all its glory, then each one is empowered and released to live out their inherent gifting to the collective good of the community. I'll leave it to Hirsch himself to download to you the different functions and callings of the apostolic, prophetic, etc. He offers an extensive list of how each of the five fold giftings is played out in reality. Apostles for instance work at mobilizing leaders, while shepherds develop a loving culture. Prophets maintain the moral and spiritual witness of the community, while teachers foster wisdom and intelligence. 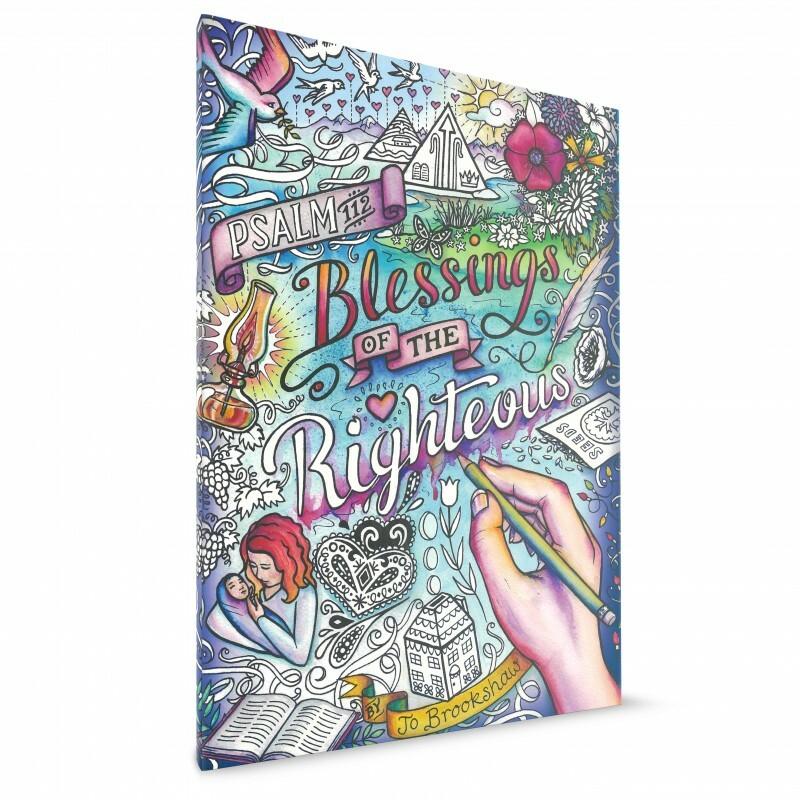 Before long, you'll hopefully see how your unique personality and gifts fit into the wider body of Christ. Some no doubt see Alan Hirsch as A PEST, but that's probably because of the challenging nature of APEST. The very systemic thinking flies in the face of the Christendom modus operandi of the last 1700 years! That's why we need Alan Hirsch to be a prophetic voice: To continue to push the church to be the great bride of Christ, to align itself theologically and missiologically with God's ways and to be great representatives of Jesus on the earth today. You need to read Hirsch. Grab a copy of Alan Hirsch's 5Q: Reactivation the Original Intelligence and Capacity of the Body of Christ. If you want a chance for a free copy of Alan Hirsch's newest book 5Q, then all you have to do is make a comment in the Blog comments with the best answer to this question: What is the greatest challenge for the church today? You have until 28th July, 2017 to comment! (The best response will win a new copy of 5Q. Only comments on the blog will be applicable. Comments on facebook and twitter, though valuable will not be considered. 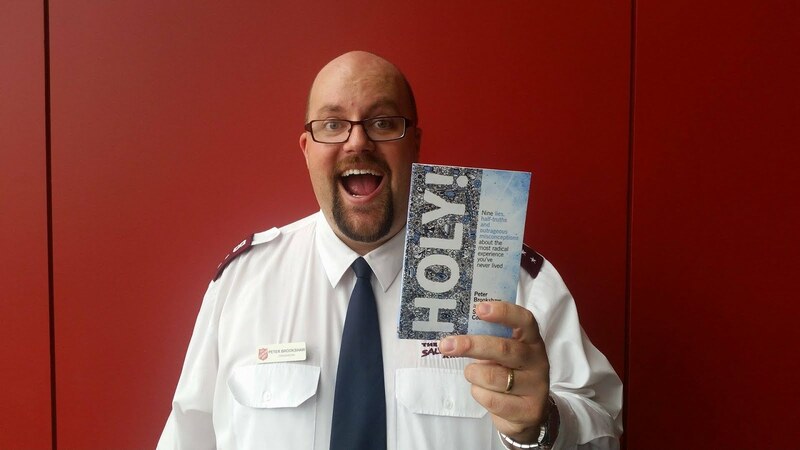 The best comment, when chosen, will need to email me at peter.brookshaw@aus.salvationarmy.org with mailing details so as to receive the copy of 5Q. Opportunity to win a free copy of 5Q closes 11:59pm 28th July 2017, AEST. Thanks). In my open letter to the body of Christ, I highlight the five fold typology of ministry and offer a call for repentance and deep consideration for each of the gifts we see in the body of Christ. We need to celebrate the fundamental way God has designed us to be. Collectively we are meant to have apostles, prophets, evangelists, shepherds and teachers flourishing in the world today. Don't forget to subscribe to petebrookshaw.com to keep up to date with my latest blogs. The greatest challenge for the church today is that we need to decide whether we really want to be the church (against which, the gates of Hell will not stand) or just another iteration of Western consumer culture (upon which, the gates of Hell stand). The greatest challenge for the church today is for each individual part of the body to understand and live out discipleship and mission from Jesus perspective. greatest challenge? Let love of Jesus and love of others motivate us to multiply multiplying disciples who multiply multiplying bases until we speed the return of our great God and Saviour, the Lord Jesus Christ. The greatest challenge for the Western church apart from complacency, is to be the church that Jesus started, that worships in Spirit and in Truth i.e sticking to the standards of holiness and the truth as put forth in the whole Bible, but also living by the Holy Spirit. The greatest challenge for the Western church is the temptation to abandon the true gospel for merely a Christian version of the American dream. Fear is the greatest challenge for the Western church. Fear keeps us from asking questions and digging deeper. We are afraid of change. We are afraid of the "other." We want to protect ourselves and our families even if it means being disobedient to the commands of God. We are afraid to be vulnerable, before God and in relationship with our neighbors. Fear traps us and leads to complacency and lack of growth and eventually death. We are afraid of love. So many fears! If we can learn to truly trust God and surrender our fears and our need to protect ourselves, we can move into a rich life with God and with the family of God.